Myrtle Beach Roof Repair | Specialty Roofing Repairs. Specialty Roofing Repairs is the expert to help you with your Shingle Roof Repairs. This can include storm damage, wear and tear, water leaks, and more. We will replace shingles and underlayment where necessary. Most roofs in the Myrtle Beach, SC area use asphalt shingles. The comparative ease of installing and economical construction make asphalt shingles today’s most popular roofing material. Many trusted U.S. and Canadian building-product manufactures market asphalt shingles for roofs. Speciality Roofing Repairs trusts and stands behind these manufacturers and is a certified installer of these goods. Specialty Roofing Repairs will help you decide which shingles are best for your roof and your home. With years of experience in the roofing industry, Specialty Roofing Repairs can work side by side with the homeowner to select the perfect shingle color, texture and warranty that fits their budget and their home. There is no way standing on the ground a homeowner can diagnose a shingle problem two stories above. 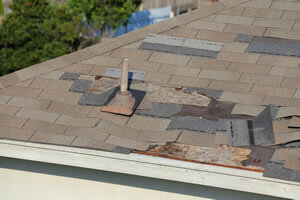 A professional roofer like Specialty Roofing Repairs knows what to look for and will start on the ground. The first decision is to assess the roof’s overall condition. Is your roof more than 15 years old? Have the shingles changed from ultraviolet exposure? Dark-colored pockmarks can show hail and storm damage. Moisture can be a huge issue if algae or moss is growing on the roof. Specialty Roofing Repairs has the experience and knowledge to answer these questions to put your roof and home in the best condition possible. 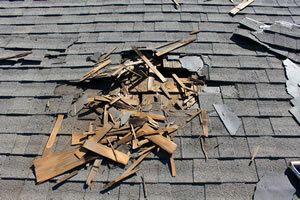 Emergency roof repairs are never expected and always require quick action! Specialty Roofing Repairs provides professional support for roof repairs like leaking roof caused by damaging storms or an undetected roofing problem that develops over time of wear and tear. Our crew at Specialty Roofing Repairs is available to assist at a moment’s notice to help you avoid additional roofing harm. During severe weather conditions major accidents can occur, it is important to quickly get professional roofing services in order to prevent further roofing damage. At Specialty Roofing Repairs we are skilled and knowledgeable to provide professional roof emergency maintenances in Myrtle Beach and surrounding areas. Specialty Roofing Repairs concentrates in shingle roof repairs, metal roofing repairs, and flat roofing system repairs. Ongoing research and training makes Specialty Roofing Repairs one of the most reliable roofing contractors in Myrtle Beach area. We are trained on a regular basis in principles of being thorough and having stringent attention to detail. When you need roofing installation, roof leak repair, roof maintenance, commercial roofing, residential roofing, or any other roofing service – we are experienced and ready to help. If you own a roof, especially if you live in an area where hurricanes and tornadoes are a regular threat it is important to be aware of your roof and possible issues.